The perfect shirt for every day, anywhere? Done and done. Our 4 oz. Merino wool jersey knit tee with cross neck is ultra lightweight and lets your body breath in every climate. Little-known fact: wool is naturally odor-resistant, which translates to less stink, more go-time and even less wash-time. This tee is designed for a relaxed, unrestricted fit. Experience comfort and warmth with a new wool fabric so light and soft you don't know it's there. Wool this soft changes how you imagine keeping warm at the office, outdoors, at home, or in bed. 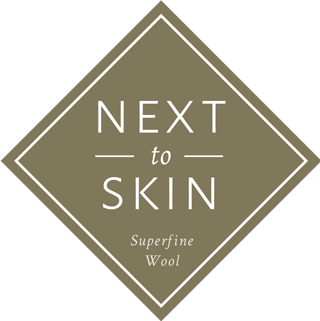 The natural spring of wool fibers creates a comfortable, relaxed wrap around your body, but not tight.